In the second in our series ‘Beyond the Chefs’, where we speak to grocers, producers and other food facilitators, we talk to Charlotte Bowers. 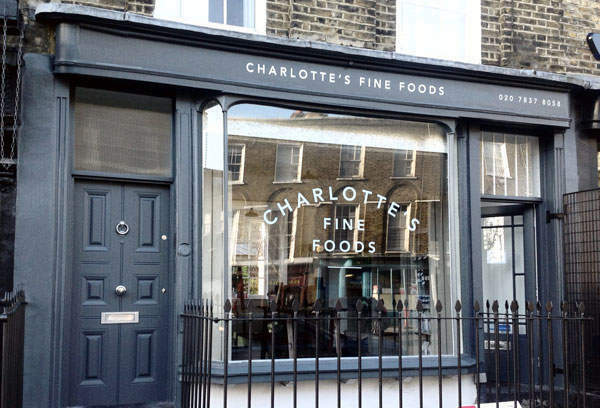 Charlotte left a successful job in strategy consulting to open an independent food store, Charlotte’s Fine Foods on Amwell Street in Islington, stocking everything from eggs and vegetables to delish jams, sauces and bakery goods. What is particularly interesting is that Charlotte is has taken a genuine interest in food and turned that into a thriving small business. 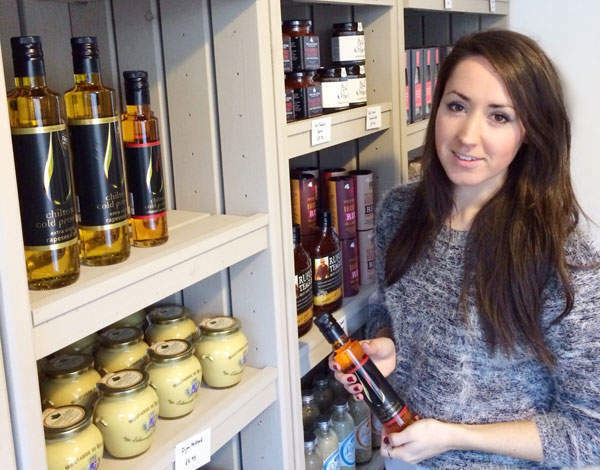 She is one of the new generation of young foodies and here she talks to Spear’s about the challenges of being – as Richard Branson has branded it – a ‘foodpreneur‘. Why did you decide to leave the corporate world and start your own business? For as far back as I can remember I have wanted to set up my own business and be my own boss. When I left university the economic situation was tough and so setting up on my own didn’t seem like a viable route. 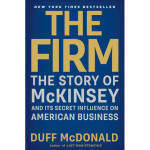 However, after a few years working as a strategy consultant with some impressive entrepreneurs, I started to realise perhaps it was something I really could do. With more and more people turning away from the poor quality and service offered by the big supermarkets, I was convinced that I could offer a quality alternative – especially for higher-end goods. 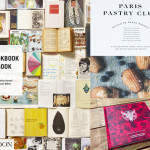 I spent some time working in France and loved the culture of shopping locally, sourcing good quality, seasonal food. With this in mind, and after a lot of further research and planning, I was ready to get started. It was incredibly difficult to find the right location for the shop. The commercial property market, especially in central London, is not an easy one to navigate and I quickly learned that if you find a property that fits the bill you need to act quickly to secure it. After a long time trawling property websites and speaking with agents I found my premises in Islington and snapped it up. Another huge challenge, although admittedly one that was much more fun, was sourcing products to stock. I knew that I wanted to stock local, British products as far as possible but it took a lot of research, recommendations and taste testing to find the best artisan producers. I now have a wide range of British pantry goods, coffee, bread, cheeses and even charcuterie and I am constantly on the lookout for new brands to trial. What advice would you give to others who are just starting out? Have a clear vision of how you want your business to look before you start and always keep this in mind. When setting up there are a million and one things to think about and it can be easy to get distracted. I kept coming back to my fundamental goals of sourcing the best quality British products and providing brilliant service which helped me to stay on track. Also, keep calm and positive, as things won’t always go to plan. When something unexpected comes along I like to think of it as a new challenge rather than a setback. What does a typical day in the store look like? On a typical day I arrive at the shop at around 8.30am to take delivery of the fresh bread, which is baked overnight at Flour Power City bakery in South London. I then tidy the shelves, making a note of any stock that is running low. After displaying the bread and other fresh products such as vegetables and charcuterie (which are stored in the fridge overnight), I’m ready to get the shop shutters up. Mornings tend to be fairly quiet, however this gives me time to place new orders and do some general shop admin and planning. Business starts to pick up around 11am and the shop gets busy as it heads towards lunch. After lunch I’m usually occupied taking delivery of orders, unpacking the new products and clearing away all of the packaging – which there is always a lot of! From 5pm onwards trade tends to pick up again as people come by on their way home from work looking for something tempting for dinner. I close at 7pm and pack up all the fresh produce, wash down the surfaces, cash up and lock everything up before I head home. What are your plans for the business in the future? The website with full online store has just gone live so I’m currently working on creating awareness of that. The idea is primarily to allow new customers from further afield to purchase products that are sold in store, but there’s also a click and collect option which should help local customers to make their shopping a little bit easier. It’s also very exciting to be gearing up for the shop’s first ever Christmas. We’ll be offering a wide range of gifts including hampers and non-food items, as well as all the necessities for the host of seasonal drinks, dinner parties and the big day itself. My longer term ambition is to open several shops, first across London and then maybe even across the UK. This may sound crazy, but I’m a firm believer that the only thing that can really limit you is your ambition.